Colour: Two Tone - Chocolate Cherry and Dark Burnt Copper. Cap Construction: medium brown lace at the front approximately three inches deep reducing to approximately two inches around the temple (see last image) with wefts throughout – wefts are attached to a solid integral cap, adjustable straps are at the back; can be worn without adhesive (or more frequently termed “glueless"); unbleached knots (this reduces shedding and can be covered using concealer or foundation), fine hairs (baby hairs) at the front. 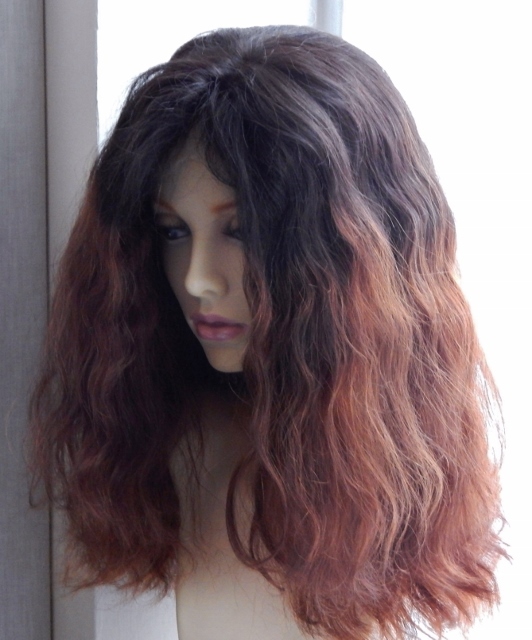 The Simmi-Chocolate Cherry Body Wave look is another stylish and chic wig. 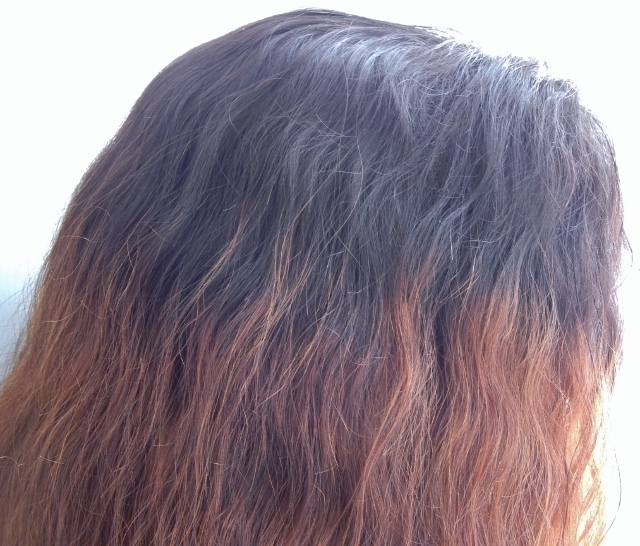 The wave texture is easy to manage and softens the effect of the dip-dye technique used on this wig. 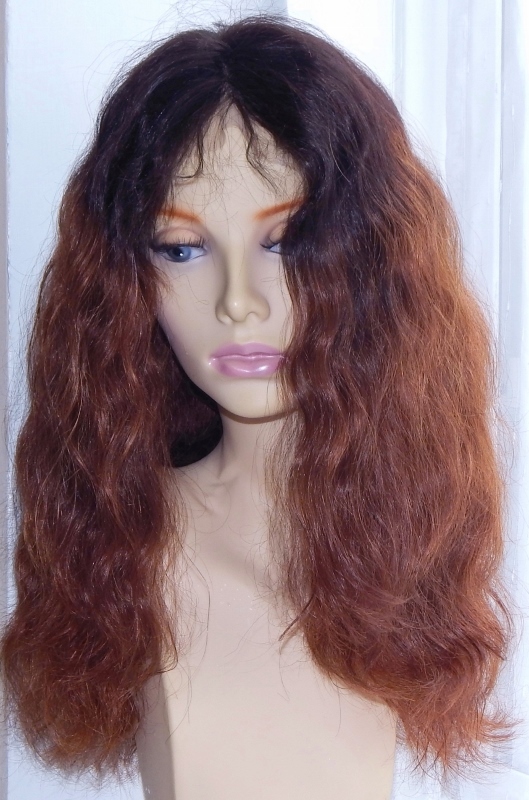 The cap construction of these lace front human hair wigs means they’re adaptable. If you’ve got growth hair (full or partial) you can wear it and if you’ve lost all of your hair you can wear it – so a great choice all round. The dark colour, suits all skin tones. 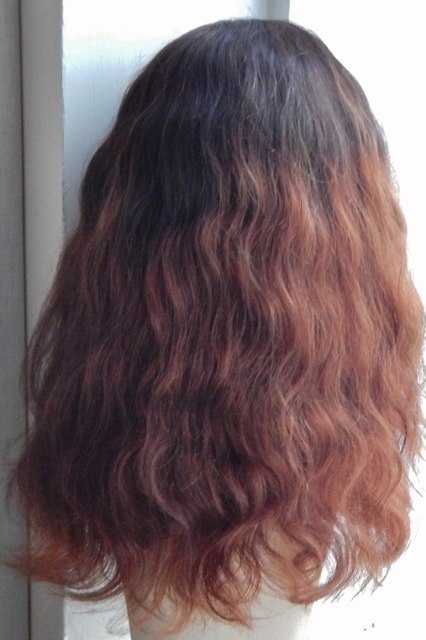 As it's made of Remy human hair, it can be heat styled to be silky straight, just wash for the waves to return. A custom item which deliberately aimed for a dip-dye two-tone colour. This image was taken with use of flash. 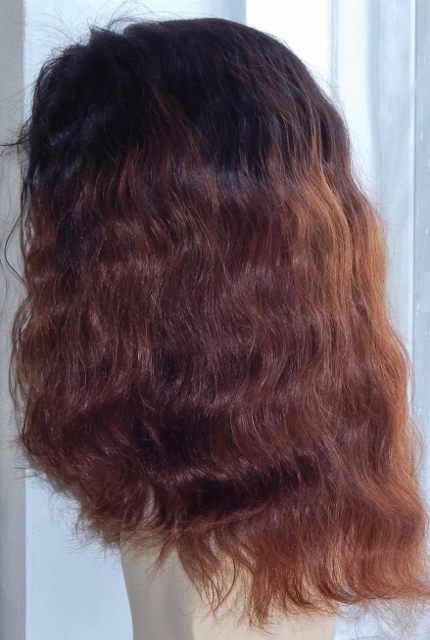 A custom item which deliberately aimed for a dip-dye two-tone colour. This image was taken without use of flash. 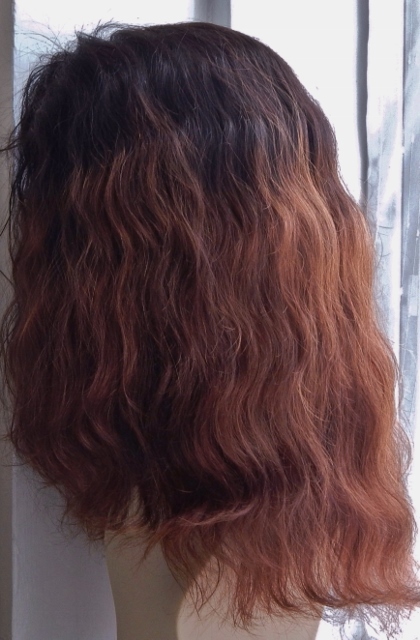 This was a custom item and cannot be repeated exactly - the client wanted a contrasting a dip-dye (two-tone) colour as opposed to an ombre or balayage effect.